The proven, portable GRPro 2.1 cold and compression system decreases pain without narcotics, reduces swelling and muscle spasms, and accelerates natural healing after acute injury or surgery. Clients will notice a reduction in swelling, pain, and increased range of motion. The systems include a control unit and attachments which go on the legs, arms, or hips. 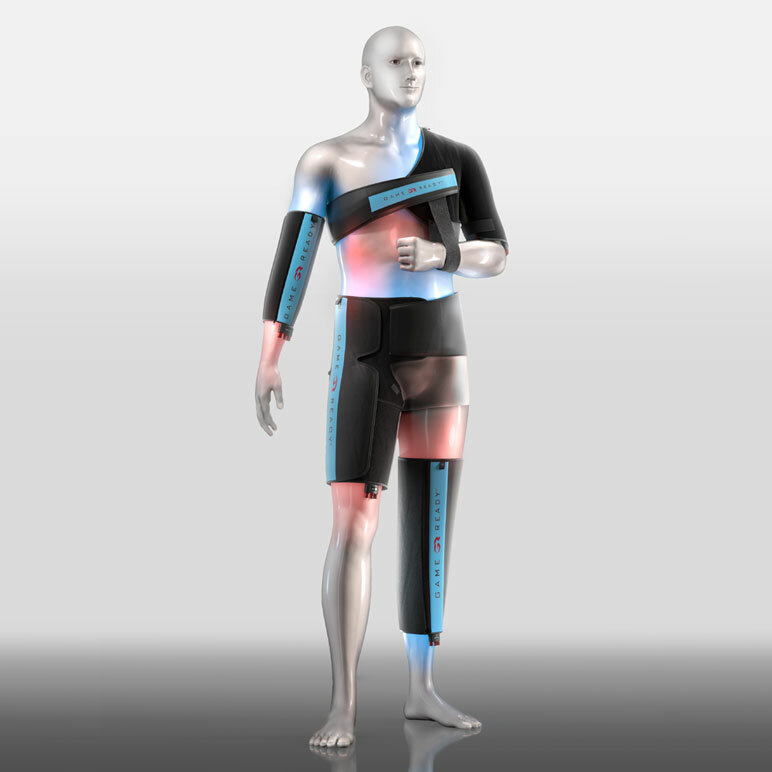 They use compressed air to massage your limbs, mobilize fluid, and speed recovery with our patented NormaTec Pulse Massage Pattern. The VENOM is a cutting-edge wearable back/shoulder/leg device that uses heat and vibration to warm up, loosen and relax sore, stiff muscles. The VENOM features four vibration pods and a user-friendly digital touchscreen that makes it easy to set (and change) the heat level, vibration pattern, and time you desire – creating a truly customized massage experience. The Hypervolt is a cordless, state-of-the-art vibration massage device that relieves muscle stiffness and soreness, increases circulation and range of motion, and improves the overall health of the body's soft tissue. Lightweight & easy to use for self myofacial release.